Capturing memories in a family album used to be much more complex than it is now. I spent hours over a scrapbooking table, cutting and pasting paper after paper to make the perfect design. Eventually I stopped making albums, because it was so overwhelming. All of my pictures started to pile up in a digital file which I have lovingly dubbed the ‘abyss’. Pictures tend to go in, and they don’t come out. But the parent inside of me still wanted to hold a book in my hands and capture a special day or memory from the life of my family. My first family album was created to capture a special trip we went on last year. I had all of my pictures in a digital ‘abyss’ file and a plan to print them out ‘some day’. I dropped them in the BookWright tool provided by Blurb, and I had my album done in 20 minutes. Even better, I then sent the link to grandma and grandpa so they could order an album as well. 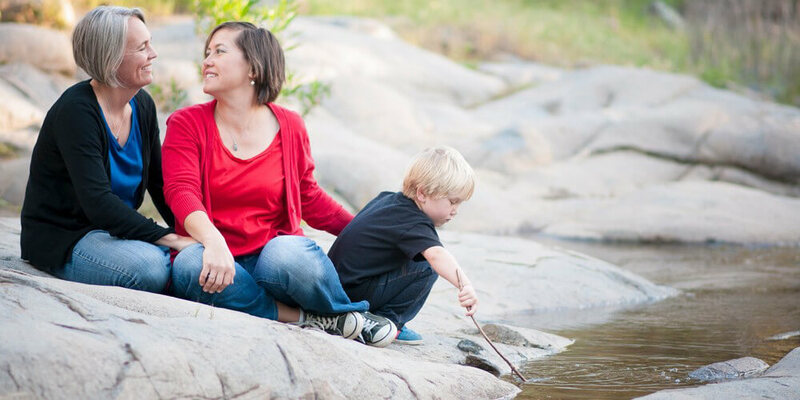 We featured Lana and Mary and their son in our Fall 2015 publication. Their outing warmed our hearts, and Amy Sue Millard Photography captured their fun perfectly. We thought it was a great example of how to use Blurb to capture these special moments with your family. Whether it is an intimate family event that you want to remember forever or a special birthday party, Blurb has the tools to make it happen.